Conventional speakers just as compact speakers or satellite speakers typically form the high and mid frequencies particularly well. For the depths, it may be advisable to use a subwoofer to make the lower frequency range audible and perceptible. So that is were these specially designed speakers are created and optimized for low-frequency sound waves. In this case, we describe these as an active subwoofer, i.e. those that have their own amplifier. As to what the subwoofer must be connected, it depends on whether a stereo amplifier or AV receiver is used. In the case of stereo amplifier with pre-existing outs, an RCA cable be used. If no pre-outs on the amplifier available, a normal speaker cable can be used. Modern AV receivers have at least one pre-amp output (Pre Out), usually via a dedicated Subwoofer Stereo / mono output, so that if necessary, a mono RCA cable can be used here. Before going into the settings, will first be discussed in more detail the actual task of a subwoofer. As already mentioned, a subwoofer for the low frequencies is responsible. He rises ideally one in the frequency range where the bookshelf speakers or floor speakers no longer carry out their work, because they can not reproduce those frequencies. Even with the settings, the distinction between stereo amplifiers and AV receivers can be made. 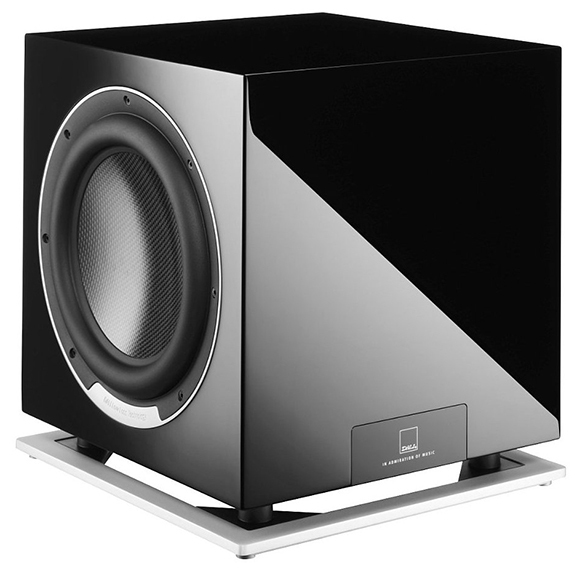 Important here is the matching of the subwoofer to the speaker, so that a very homogeneous sound image is created. She is the previously mentioned area in which the satellites stop working and the subwoofer takes up its work. Depending on what speakers you are using and whether you use a stereo amplifier or AV receiver, the subwoofer must be adjusted accordingly. On the back of the woofer, configuration is controlled (e.g. a potentiometre in the form of a rotary control or electronic control) with eg a scale of, for example, 0-200 Hz. Use rather small speakers, so the frequency must be set higher on the subwoofer. In the case that small speakers are used, about 120-150 Hz. For small speakers, however, should be taken to ensure that the subwoofer is located between the front speakers. Since you can locate audio signals in this frequency range audible, it would be bad to position the subwoofer next to or behind the listening position. With larger speakers, however, are enough 40-80 Hz. This “rule” applies, however, only for use in combination with a stereo amplifier. What crossover frequency in Hertz you need exactly for setting the subwoofer is, in more detail in the user manual of the speakers. The lower threshold of the frequency range of the speaker is also the value you should set the subwoofer. For all the attention to detail, however, the settings of an AV receiver have precedence over the rules of the speakers. 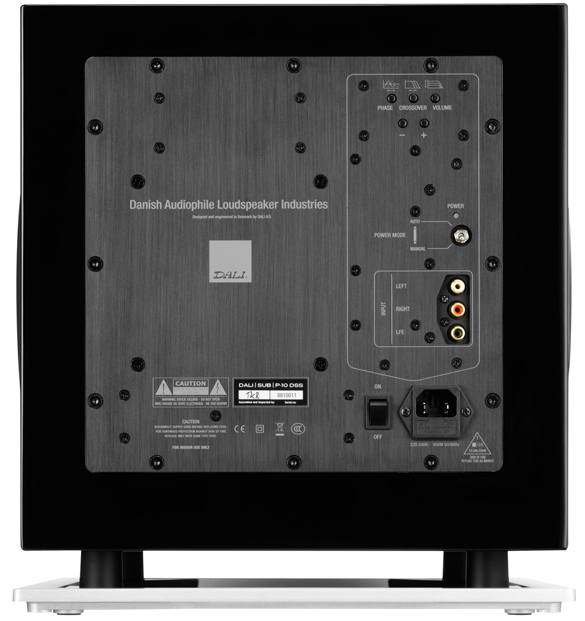 When the subwoofer is connected to the preamp output, the frequency range of the subwoofer to the maximum level of eg should 240 Hz are asked to avoid the frequency response corrections do not come into the enclosure. About the bass management of the AV receiver, the transition frequency from the receiver can eg be controlled by callibration system. The phase angle determines whether to move the chassis of the subwoofer signal pulses at first forwards or backwards (or up or down). Ideally, the front speakers and the subwoofer oscillate in phase is. If the subwoofer between frontal or near the front speakers at the same distance from the listening position as the speaker itself, a phase of 0° can be set on the subwoofer. The subwoofer is the side of the listening position or in another place in space, it is sometimes useful, if necessary, reverse the phase, which corresponds to 180°. Some models can also be adjusted infinitely. As a measuring instrument intended for your ears and your sensation. If the subwoofer has a continuously variable phase control, ask a second person, the phase controller to operate slowly, while you are at your listening position. To set the stage a test CD with different deep bass tones is optimal. If the phase is adjusted, the bass in the crossover frequency is silent or unclear or his acoustic imaging in the listening room appear unusual. When properly adjusted, volume and phase all the bass tones are about equally loud. Experiment and let the phase shifter in the position in which you feel the most coherent listening experience. AV receiver, however, can make and adjust the phase setting independently from the self-calibration system. When using an AV receiver with automatic calibration, it is advisable to adjust the phase of the subwoofer to 0 °. The easiest way to adjust the volume of an active subwoofer correctly done via the menu of the connected AV Receiver to. Use the test tone to tune the subwoofer to the rest of the speakers. At the listening position the subwoofer’s volume must not be too low in relation to the other speakers or too loud. Who lives motto: “bass you can never get enough”, the acknowledgment gets soon after heavy thunderstorms effect, whereby all equipment quickly comes to its performance limits. Even if this is not the case, suffers from the quality of the overall acoustic assembly. Instead of experiencing the effects of a differentiated, realistic structure, we hear only too intrusive, massive bass that covers up the whole residual acoustic sound foundation. To adjust the volume of the active subwoofer level controls must be turned on, then the rest is done with the test tone from the AV amplifier. THX subwoofers usually the volume control is set to the active subwoofer to the maximum value. Acoustically demanding listeners who place value on an absolute level acoustic homogeneity and equality should Calibrate the system and thus the active subwoofer with a sound level meter (Sound Pressure Level Meter, SPL meter). Several recent AV receiver have different exact working automated Einmeßsysteme on board.